KEN YUSZKUS/Staff photo. 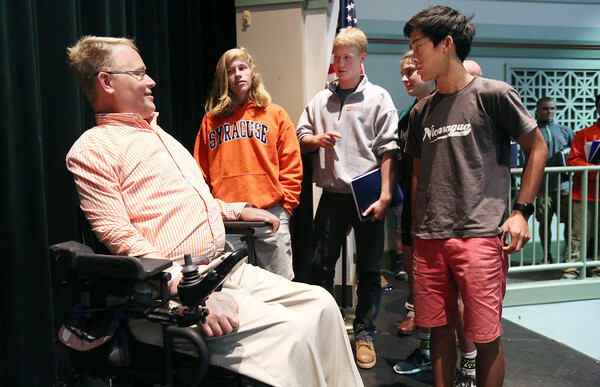 From left, Travis Roy, speaks with Ipswich High School students Quinn Comprosky, Adam Fyrer, and Max Duffield after speaking at Ipswich High School auditorium about his book Eleven Seconds. 9/23/15.